I don't often share product reviews with you, but when I do, I like them to be products that I truly love and want to spread the word about. Enter...Randy's Pickles. 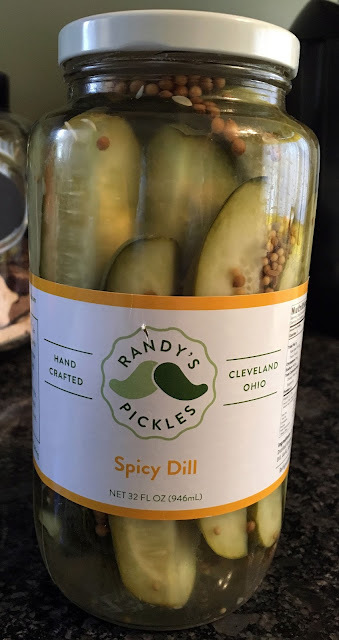 Started in 2012 as a weekend hobby of pickle-loving Andrew Rainey, Randy's Pickles is now making hand-packed, small batch pickles at the Cleveland Culinary Launch and Kitchen. You can buy them online on their website, at a select few restaurants and farmers markets, and at over 44 retail locations. This now includes Giant Eagle Market Districts and Heinen's. I first discovered their pickles at the Old Brooklyn Farmers Market. It only lasted one summer, but man, I enjoyed having the small market just around the corner. At least it brought me Randy's Pickles. Now, Mr. H and I like to pick them up at The Grocery in Ohio City, and I've been pleased to see them on the shelves of local grocery store chains. Randy's Pickles contacted me to see if I'd like to review their product recently. I said "Yes, please! I'm already a fan." I had only had a couple of their pickle flavors. They sell six standard styles, but will often have special seasonal styles as well. They sent me the Spicy Dill, which is the original that Rainey made with his grandmother when he started this pickle-making adventure. Large, firm and crisp, and just the right about of sour, it made a perfect addition to my lunch. Pickles and gooey grilled cheese just plain work. We already had their Bread 'N Butter style in our refrigerator the day that the Spicy Dill arrived, and I personally love their Black Pepper Chip Pickles on a burger. Their seasonable Sideburns have been a hit with us too. The visible char marks from the grill just make them look cool, but that smokiness adds some interesting flavor to the pickle. I've always been a pickle-lover, but these are top notch. Plus, it's a local Cleveland company, which seals the deal for me. So, go run and get yourself some Randy's Pickles. You won't be disappointed. Disclosure: I received one jar of Randy's pickles in exchange for this review. All opinions stated are 100% my own, and I've purchased their product on my own for years. If you're like us, Easter weekend is just sneaking right up on you. It's so early this year, and I still haven't adjusted to the fact that it is March yet. Because...I was just in Costa Rica! Mr. H and I headed to Costa Rica to meet my family for nine days of relaxation, competitive family pitch games, exciting excursions, pool time, and of course...authentic Costa Rica cuisine. But, we left in February, and it was March when we returned, so I'm still struggling to wrap my head around that. Burntwood Tavern (7 locations)- 10AM - 3PM. Easter Buffet. $28. $10 for children 12 and under. Additional Bloody Mary Bar available for $9. Check out the buffet items included here. Graffiti: A Social Kitchen (Gordon Square Arts District)- 10AM - 3PM. Easter Brunch Buffet. $25 per person. This menu is creative and fun, and you can take a look here. Forest Hill Kitchen & Ballroom (Cleveland Heights)- 10AM - 3PM. Easter Brunch. Menu items ranging from $5 - $13. Signature cocktails and a Bloody Mary Bar will also be available. Urban Farmer Steakhouse (Downtown Cleveland)- 8AM - 3PM. Easter Brunch Buffet. $48 per person, or $20 for children under 10. Rider's Inn (Painesville)- 10AM - 6PM. Easter Buffet. Breakfast items served until 1PM. $29.99 for adults, $14.99 for children under 12. AMP 150 (West 150th Street, Cleveland)- Easter Brunch. 100th Bomb Group (Airport, Cleveland)- 9:30AM - 5PM. Easter Buffet. Breakfast items served until 2:30PM. Complimentary champagne, a visit from the Easter Bunny, and a Bloody Mary Bar. Adults $46.95, Children $20.95. Pickwick & Frolic (Downtown Cleveland)- 10:30AM - 4PM. Easter Brunch. Over 50 items available. Adults $34.95, Children 4-12 $14.95, and Children 3 and under are free. Meet the Easter Bunny. This is just a handful of the available options around town. How will you be spending Easter? If you have an event or Easter special to share that is not listed above, please leave it in the comments. Today, this little blog turns 7. 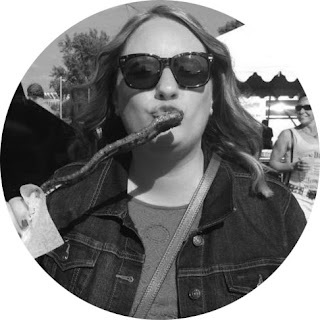 7 years of poking around the Cleveland restaurant scene, sharing my thoughts and experiences, building friendships, attending some amazing events, taking the annual To Dine Challenge, sampling tasty products, and hosting some fabulous giveaways. The time has flown by, and I'm happy to say that I'm still enjoying blogging, and sharing my dining excursions with all of you. With the date glaring at me, I took pause to think back on how and why I started this blog. I was working at the Greater Cleveland Food Bank, planning their fundraising events and working with area chefs and restaurant owners. I considered it "part of my job" to know what restaurants were opening, what chef was moving where, who was "hot" and who was "not" in the culinary world. I found myself starting to "talk" Cleveland food with everyone around me. I had only been living in Ohio for about a year at that point, but friends and co-workers that had lived here their whole lives were suddenly turning to me for restaurant tips. "Where should we go for our anniversary?" "Who has the best steak in town?" "What's your favorite restaurant in Tremont?" I am also terrible in the kitchen, and relied on my then-boyfriend ("R" and now "Mr. H") to cook dinner for us. If he came home and didn't feel like cooking, then we ate out. And found ourselves quite enjoying exploring the rising Cleveland restaurant scene. As a writer for most of my life, I was missing that piece once I started working in non-profit special events. One day, it became clear. I should take these frequent conversations, my knowledge of openings and moves, and our interest for trying new-to-us dining destinations, and turn that into a blog. As a fan of alliteration, Bite Buff was born. I blogged anonymously for almost two years, and then slowly started attending blogger events and went public with my identity. I had been fearful of what it could do to my work relationships. After all, non-profits rely heavily on the participation of area chefs. But, I've actually found that this little old blog has enhanced many of those relationships, and I'm grateful for that. Ok, blah, blah, blah...that's basically how this all got started. I'm feeling sentimental, and wanted to share that with you. I credit my role at the Food Bank with my passion for the Cleveland restaurant scene. It has given me so much since I moved here 8 years ago. I've stayed involved with the Food Bank, and it will always be close to my heart. 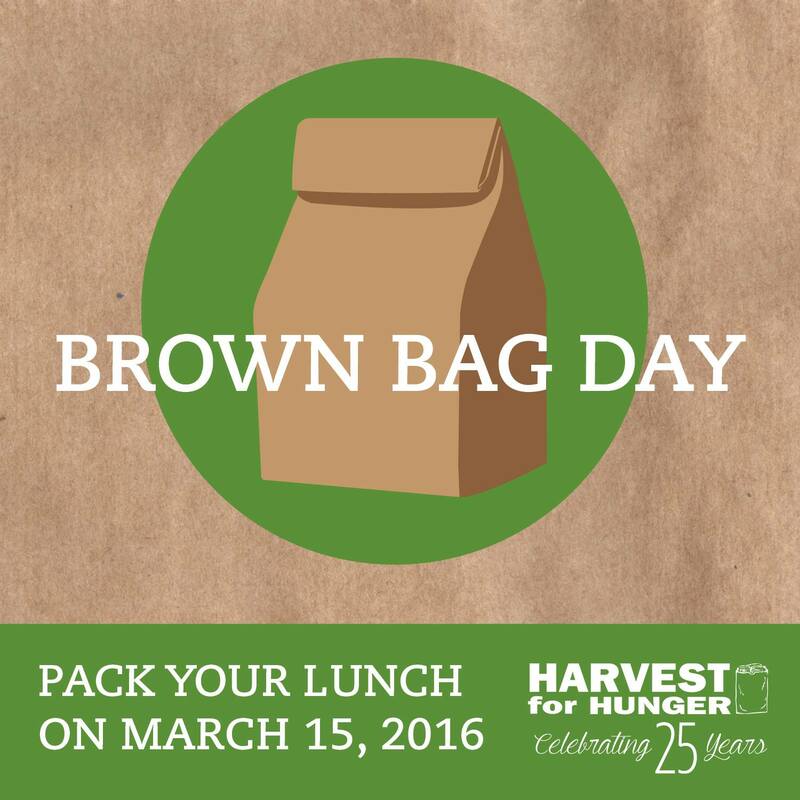 In celebration of this blog turning 7, I ask you to consider joining me in participating in Brown Bag Day this Wednesday to benefit the Harvest for Hunger Campaign of the Greater Cleveland Food Bank. Please pack your lunch on the 15th, and donate the $$$ that you would have spent dining out that day to the Campaign. For every $1 donated, the Food Bank can provide 4 meals in a local hunger center. Thank you for following, whether that has been for years, months, days, or this is the first post you're reading. It's been a wild ride, and I'm not done sharing with you. Cheers to many more years of dining adventures around Northeast Ohio! The first restaurant of the 2016 To Dine Challenge is complete! Mr. H and I popped in to the new Banter on Detroit Road in the Gordon Square Arts District the other night, after I saw them post a picture on Instagram of my favorite bottled beer. Banter brings us a unique food and beverage experience. It is a curated beer and wine store (each with their own separate room) that is also satisfying shoppers with house-made sausages and poutine. After grabbing a spot at one of the few tables in the main bar, we wander over the room next door to check out the wine selection. Then, on to the beer. Which is where I found my favorite bottled beer, Epic Brewing's Big Bad Baptist. Banter allows you to crack open your purchase right there at the store (for a small corkage fee) to enjoy with their tempting, but limited, menu. The bar area was busy for a Thursday evening. It did get quite loud in that room. If you're looking for a quieter space and something other than bar seating or high-top tables, there is a handful of standard tables in the wine room as well. People had been raving about the Corndog ($7), but honestly it was our least favorite item. Maybe we had an "off" one, but it was really soggy. Things perked up as we tried the Breakfast ($9) with Ohio maple and sorghum bratwurst, pain perdu, blueberry mustard, bourbon bacon, fried egg, and shaved maple. It was on the sweeter side, so I was imagining it paired with a spicy Bloody Mary at brunch! Mr. H let me have a bite of his Fried Chicken ($9) with crispy fried chicken sausage, braised greens, sweet corn mustard, and hot sauce. I really liked that one as well. But, hands-down my favorite thing that we tried was the Foie Gras poutine ($19) with seared fois gras, frites, duck gravy, apple gastrique, and duck confit. It was rich, decadent deliciousness. I could only eat about a third of it. Everything is priced reasonably for the quality of product that they are producing, and it was a hearty meal. It's casual, fun, and a great way to stock up on craft beers and wine while you're out for a bite. I think it's a nice addition to the area, and we'll be repeat customers. Open until midnight on the weeknights, and 1AM on Fridays and Saturday.